Dubai's Roads and Transport Authority (RTA) has dismissed rumours circulating around social media that they have deployed 'smart sensors' in the form of stickers pasted on street lights in Dubai. The message, which was spread on various social media channels, claims that the 'smart sensors' are a new drive by RTA to clamp down on jaywalkers. The message claims that the smart sensor stickers capture the details of jaywalkers via their Emirates ID in their wallets before sending them a Dh420 fine. Khaleej Times retrieved an email from the RTA, which said that the posts circulating on social media are fake. They also clarified that the stickers were simply a serial number for each lamp post. In a separate statement to Khaleej Times, the RTA clarified that "the stickers on the poles of the pedestrian crossings traffic lights are part of RTA's asset management system that tracks and monitor all its assets in contrary to what's being rumored that it is related to issuing fines at pedestrian crossings." 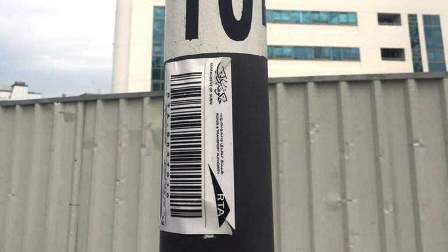 Despite this, many UAE residents have taken photos of stickers thinking that they are sensors.